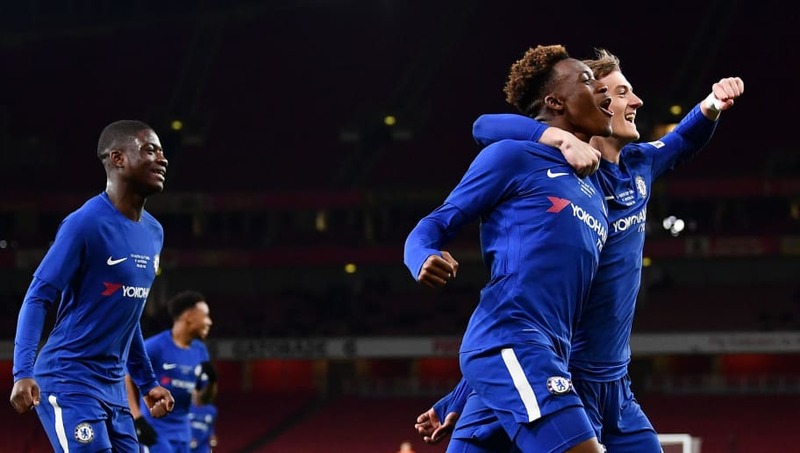 Bayern Munich and Arsenal are the latest clubs to express an interest in ​Chelsea youngster Callum Hudson-Odoi​, as he enters the final 18 months of his contract. Despite being highly rated at Stamford Bridge, 18-year-old Hudson-Odoi's pathway to the first team at Stamford Bridge appears difficult. There have been suggestions that he could become the latest prestigious English talent - following the examples of Jadon Sancho and Reiss Nelson - to move abroad in order to gain valuable experience. According to ​The Sun, ​Bayern Munich are leading the race for the winger and want to push through a deal in January for a player they view as a potential 'long term replacement' for legendary forward Arjen Robben. However, Bayern will face stiff competition from other European giants including Barcelona, Juventus and ​Arsenal. The U17 World Cup winner has a sparkling reputation and has shown glimpses of his talent to the Chelsea fans. After a superb pre-season - as well as starting in the Community Shield - it looked as if the teenager would have a breakthrough season. However, he has only managed 35 minutes in the first-team since August. Chelsea boss Maurizio Sarri has preferred to use wingers ​Eden Hazard, Willian and Pedro this campaign and his recent comments do not imply Hudson-Odoi will be starting for the Blues anytime soon. "I want to find space for him. It is not easy because we have 28 players. For me it is not easy to put him in the starting XI. Maybe on the bench in the PL there was Moses or Pedro so it is difficult to not put them on the bench. "I will try to find the space for him. He is in the 18 players for the match tomorrow, but I don’t know if he will start." the Italian admitted in his latest press conference. It is likely that Hudson-Odoi will want to fight for a place at the club he joined at seven years old, however, after seeing Sancho and Nelson flourish in Germany - the Chelsea youngster may feel he needs to follow the emerging trend in moving abroad, in order to reach his potential.